Ok, so we all know the kids game of pick up sticks. Well how about hanging it on the wall instead. I decided to try something a little different, and on thinking how to work it, decided that instead of trying to glue and layer them I would just dump arrange them on the canvas – pre glued – and then add gloops of glue to the top and hope it works. Well that worked. I actually held it upside down to make sure. Nothing fell off. A couple were a little loose, so they were poked and stuck elsewhere. The colour seeped out of the sticks so I now had blobs of colour around the sticks. It’s not too bad really. 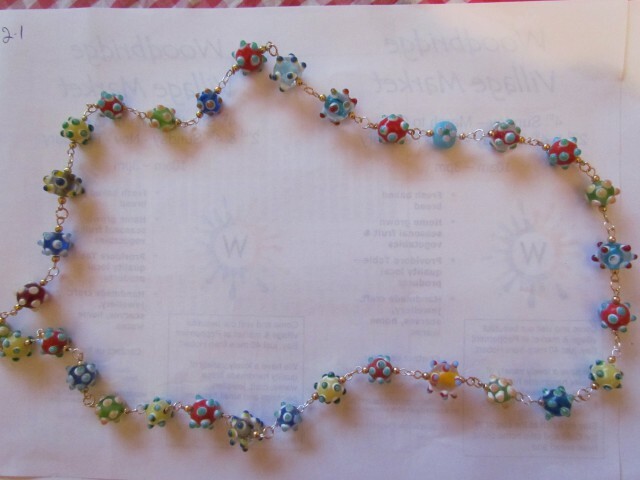 I have finished it off by adding silver glitter paint to the top of the glue and lightly around the edges so it comes across as sparkly without any added colours to distract from the main picture. I quite like that it is purely just colour and spiky textures in the middle of the canvas. nothing smooth, no borders. 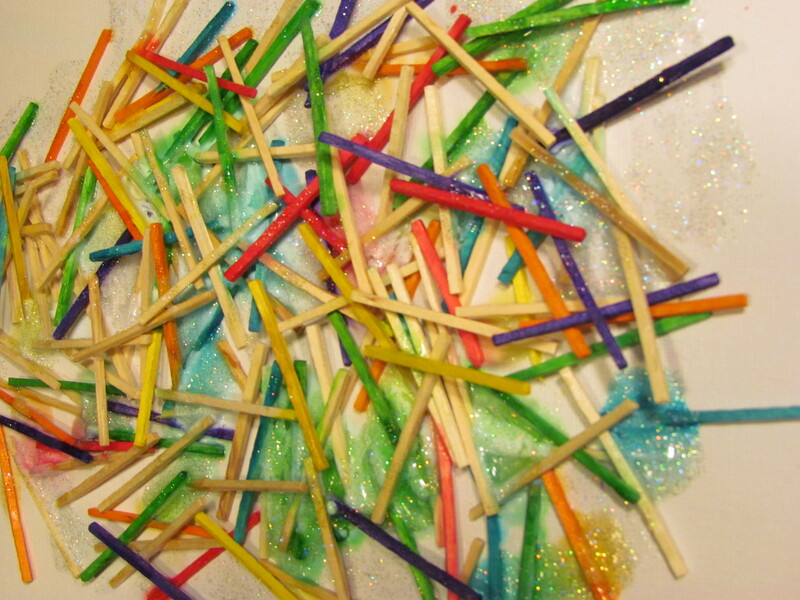 Just Glitter Sticks. 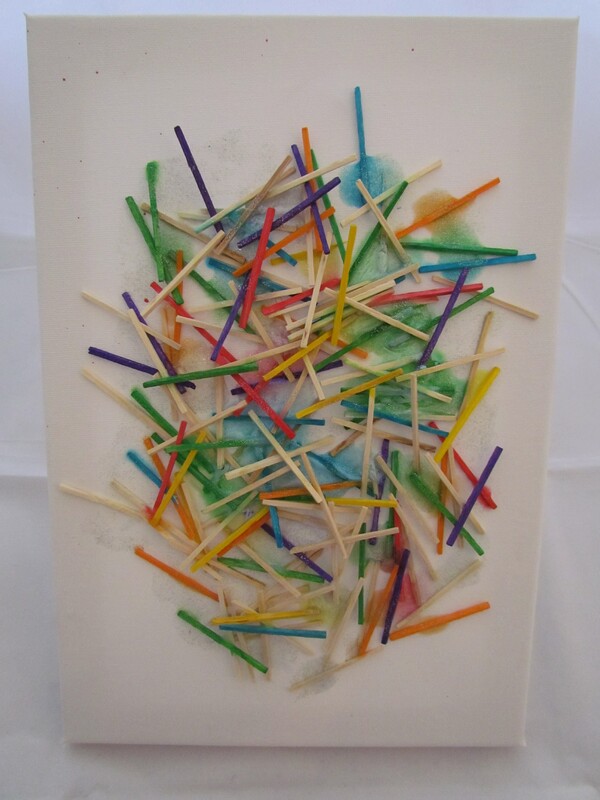 This entry was posted in Canvas Art, Mixed Media and tagged arts, canvas, glitter, illustration, paint, pick up sticks, rainbow, sticks. Bookmark the permalink.